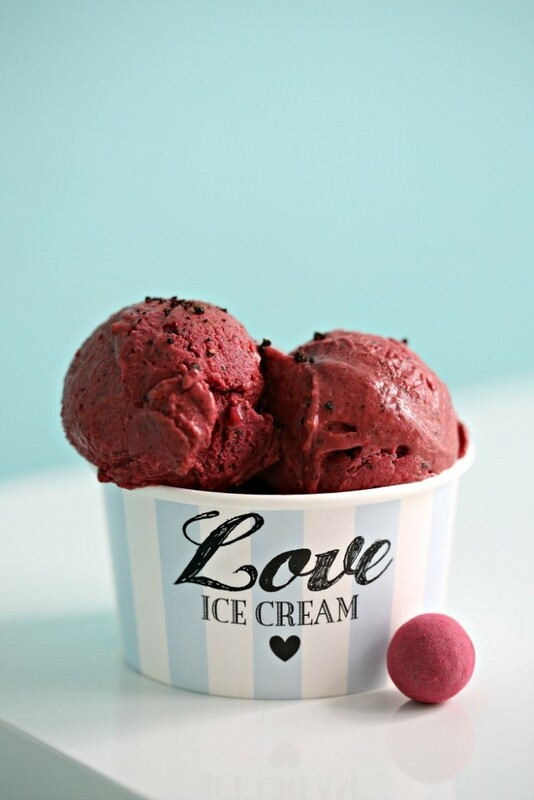 I thought this easy blender Raspberry Sorbet it would be a great activity to do with my little guys as a kitchen activity for our 1st What�s Cookin� Wednesday. 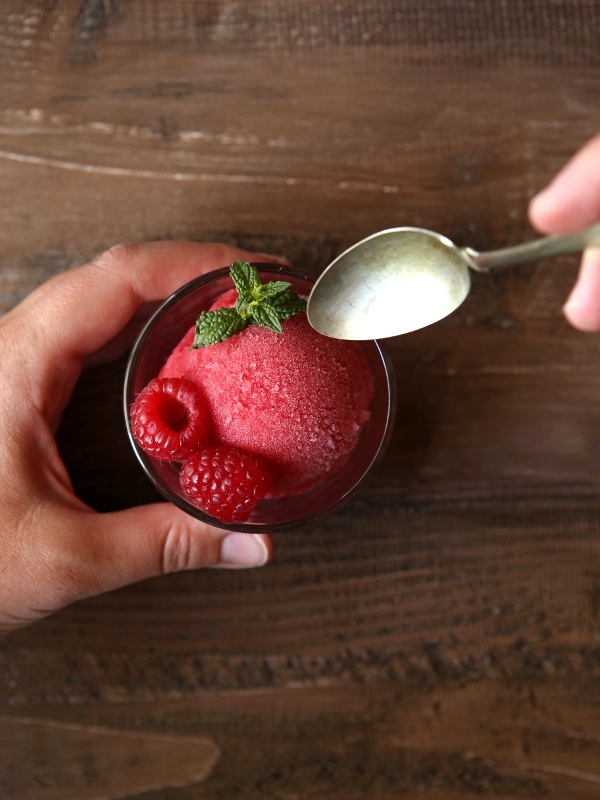 I've made sorbet by adding all the ingredients to the simple syrups, pouring it into ice cube trays, then blending the cubes in a blender after it's frozen. I think it turns out a little softer than the pictures here look, but also a good way to make sorbet without an icecream maker. Puree 1 lb. 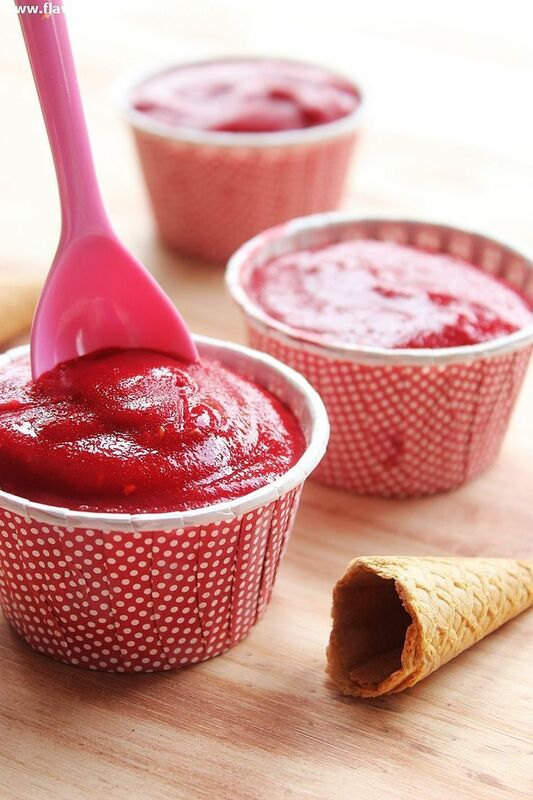 of the raspberries (about 4 cups) with the syrup in a blender or food processor until smooth. Scrape the puree through a fine sieve into a bowl; discard the seeds.